Hinayana and Mahayana (traditions of Buddhism) work towards the experience of Sunyata, or voidness, which is Tantra’s basic assumption and starting point. Gradual paths insist one must work from here upwards. Hinayana, or Lesser Vehicle, and Mahayana, or Greater Vehicle, are both parts of the Path of Renunciation, but their characteristic approaches are different. The Hinayana tradition of Buddhism follows the Path of Renunciation that was taught by the Buddha in his human form and later written down in what are known as the ’Sutras’. Here the ego is regarded as a poisonous tree, and the method applied is like digging up the roots of the tree one by one. One has to overcome all the habits and tendencies that are considered negative and hindrances to liberation. There are thus, at this level, many rules of conduct, governed by vows, that regulate all one’s actions…[Through the development of various states of meditation…(one can) recreate oneself as a pure being who has gone beyond the causes of suffering, an ’Arhat’, who returns no more to the round of births and deaths in conditioned existence. From the point of view of the Mahayana, to seek only one’s own salvation in this way, and to go beyond suffering whilst others continue to suffer, is less than ideal. In the Mahayana it is considered that one should work for a greater good, putting the wish for the realization of all others before one’s own realization, and indeed continually returning to the round of suffering to help others get beyond it. One who practices in this way is called a ’Bodhisattva’…To cut through the roots of a tree takes a long time, and the Mahayana works more to cut the main root and then allow the other roots to wither by themselves by developing supreme compassion in the individual, as well as by working to realize the essential voidness of all phenomena and the ego, which is also the goal in the Hinayana. The various levels of tantra are the practices of the Vajrayana, and they work on the assumption of the voidness of all phenomena, the principle of Sunyata. They all work on this principle using visualization, but visualization is used differently at each level, with the aim of reintegrating the individual’s energy with that of the universe. There are Outer and Inner tantras, also called Lower and Higher tantras. Both these levels of tantra use visualization as a principle means, but the Outer tantras begin working at the level of the external conduct of the practitioner to bring about a purification of thought and action to prepare the practitioner to receive wisdom. The Outer tantras thus begin with what is called the Path of Purification, the first stage of the Vajrayana, or ’Indestructible Vehicle’. The second stage of the Vajrayana is the Path of Transformation, which begins with the third and last level of the Outer tantras and includes all the three levels of the Inner tantras. These Inner tantras work once again on the basic assumption of the voidness of all phenomena, but they principally use inner yoga, working on the subtle energy system of the body, to bring about a transformation of the practitioner’s whole dimension into the dimension of the realized being visualized in the practice. These methods were taught by the Buddha in a ’manifestation body’, rather than by him in his physical body, as well as by other Sambhogakaya manifestations. The particular method of Dzogchen is called the Path of Self-Liberation, and to apply it nothing need be renounced, purified, or transformed. Whatever arises as one’s karmic vision is used as the path. 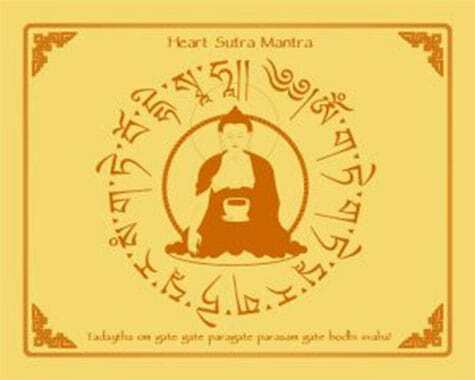 The great master Pha Tampa Sangye [South Indian Yogin of the 11 century] once said: It is not the circumstances which arise as one’s karmic vision that condition a person into the dualistic state; it is a person’s own attachment that enables what arises to condition him. If this attachment is to be cut through in the most rapid and effective way, the mind’s spontaneous capacity to self-liberate must be brought into play. The term self-liberation should not, however, be taken as implying that there is some ’self’ or ego there to be liberated. It is a fundamental assumption…at the Dzogchen level, that all phenomena are void of self-nature. ’Self -Liberation’, in the Dzogchen sense, means that whatever manifests in the field of experience of the practitioner is allowed to arise just as it is, without judgment of it as good or bad, beautiful or ugly. And in that same moment, if there is no clinging, or attachment, without effort, or even volition, whatever it is that arises, whether as a thought or as a seemingly external event, automatically liberates itself, by itself, and of itself. Practicing in this way the seeds of the poison tree of dualistic vision never even get a chance to sprout, much less to take root and grow. Not Sutra, not Tantra, Dzogchen does not see itself as the high point of any hierarchy of levels, and is not a gradual path. Dzogchen is the Path of Self-Liberation, and not the Path of Transformation, so it does not use visualization as a principle practice; but it is beyond limits, and practices of any of the other levels can be used as secondary practices. The principle practice of Dzogchen is to enter directly into non-dual contemplation, and to remain in it, continuing to deepen it until one reaches Total Realization.